Alkanet is a near-threatened biennial or perennial herb that is characterized by its rough, hairy stem and dark purple flower. An article posted on the Luonto Portti website noted that the plant is native to the southeastern parts of Europe. The herb’s flowering season is between June and August. Alkanet can be commonly found in common areas such as loading places, roadsides, and yards as well as wastelands and fields. The medicinal herb is considered an invasive species in North America, which can be found across Maine up to New Jersey in the south and from Ohio to Michigan in the west. The plant’s name is derived from the Arabic word “alhinna” or henna. This is largely due to alkanet’s roots that are traditionally used to produce a red dye. Likewsie, the roots have long been used by French women as a form of make up. Alkanet is also commonly referred to as common bugloss. Alkanet is best known for its expectorant properties and is traditionally used to promote the respiratory tract’s overall health. The medicinal herb is taken to relieve respiratory conditions such as persistent coughs and bronchial catarrh, according to an entry featured on the Herbs2000 website. Likewise, the plant is commonly used as a remedy to various gastrointestinal conditions such as ulcers in the stomach and the duodenum. Alkanet is also useful in addressing intestinal worms as well as yellow jaundice, spleen, and gravel. The medicinal herb is likewise found to contain soothing properties that help relieve a host of skin disorders. Alkanet is traditionally made into ointment to treat old ulcers, inflammations, burns, and St. Anthony’s fire. Likewise, the plant can be used to alleviate green wounds and punctures. Moreover, alkanet is known to fortify the body’s overall immune system. The herb contains powerful properties that help ward off infections such as small pox and measles. Furthermore, alkanet is found to relieve muscle- and bone-related conditions. A decoction of alkanet and wine is commonly used to strengthen the back and address chronic pain. The medicinal herb is also touted to work against bruises and pain associated with falls. Alkanet is a widely-used treatment to strengthen the respiratory tract and address related diseases. The herb can be used to fortify the body’s digestive profile and immune system as well. Likewise, the medicinal plant is useful in relieving both muscular and skeletal pain. Alkanet is also shown to promote skin health. The leaves and shoots of alkanet are edible and can be consumed just like spinach. Likewise, the flowers can either be cooked or used as an interesting garnish. A Tip Disease article noted that a cold infusion made from alkanet may be used as a diuretic, while a hot infusion can be used to induce sweating. Teas made from alkanet also remains to be a widely consumed treatment in folk medicine. In addition, alkanet can be used as a topical treatment to a variety of skin conditions. A homeopathic treatment may also be processed from alkanet to relieve a number of digestive disorders. Moreover, a decoction made with wine can be used to relieve chronic pain. Alkanet relieves respiratory diseases such as persistent coughs and bronchial catarrh. Alkanet addresses stomach and duodenal ulcers, jaundice, and intestinal worms. Alkanet alleviates green wounds, punctures, skin inflammation, burns, and St. Anthony’s fire. 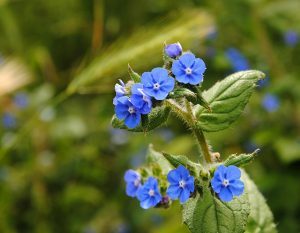 Alkanet prevents small pox, measles, bruises, and chronic pain. Alkanet improves respiratory health and enhances the body’s digestive profile. Alkanet fortifies the body’s immunity against infections. Alkanet improves skin condition as well as muscle and skeletal health.